The Greater Florence Chamber of Commerce and the Darlington Chamber of Commerce held their annual Administrative Professionals Day Luncheon at SiMT on Wednesday, April 26th. 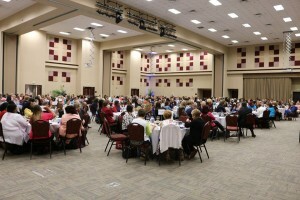 Nearly 400 people came to hear speaker Laura Hamilton talk on the topic of SuperWoman: Are You Invincible? Those in attendance also saw 150 prizes given away. 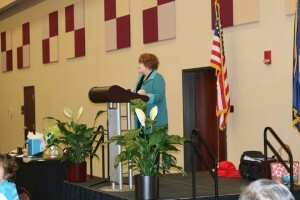 The program was sponsored by Duke Energy, SPC Credit Union and AT&T Mobile. 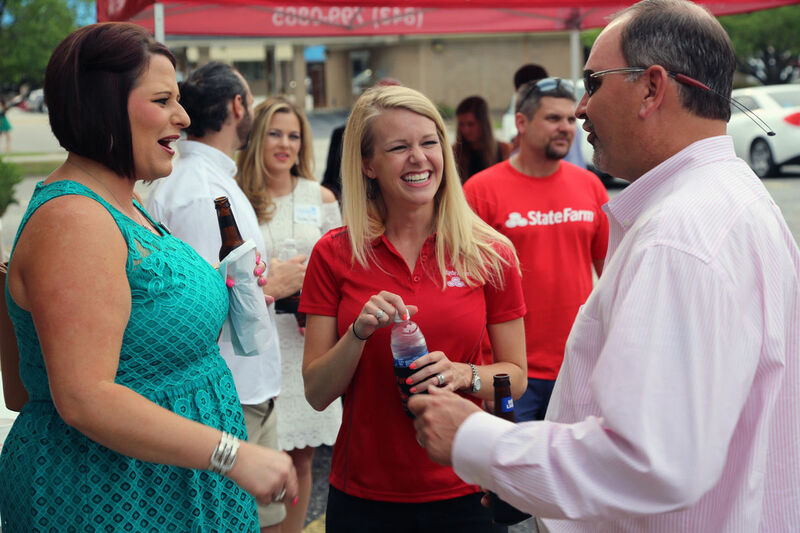 The Mandy Simpson State Farm hosted a Business After Hours event with the Florence Chamber on Thursday, April 27th. 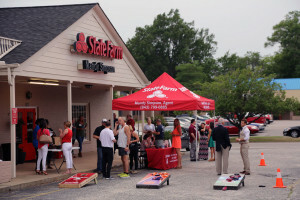 Guests enjoyed live music by Sideswiped, door prizes and networking with the local business community. Mandy Simpson State Farm is located in the Huntington Plaza at 204 Second Loop Road in Florence. “The South Carolina Arts Commission has named downtown Florence as the newest state-recognized cultural district. A cultural district is an easily identifiable geographic area with a concentration of arts facilities and assets that support cultural, artistic and economic activity. 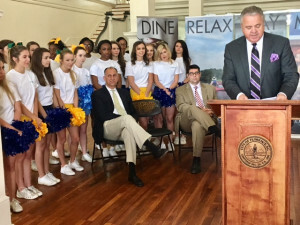 The cultural district designation was created by the S.C. General Assembly and Gov. Nikki Haley in 2014. 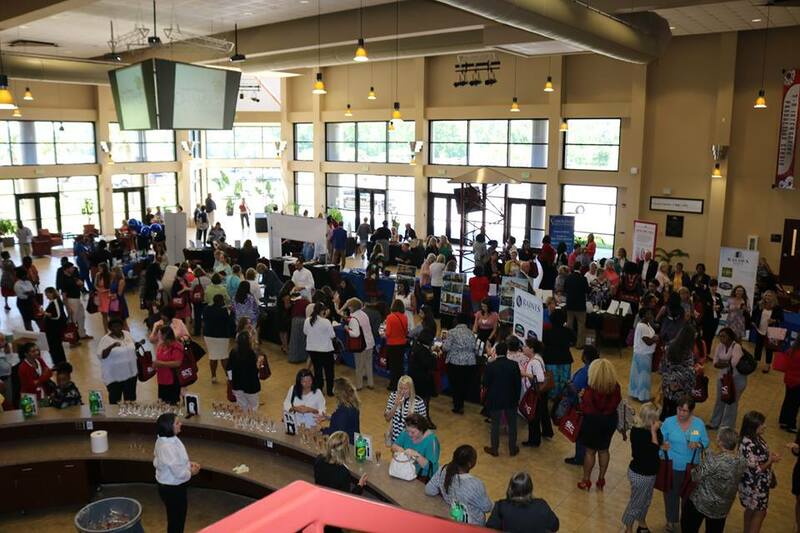 The City of Florence and the Florence Regional Arts Alliance worked with local leaders and Arts Commission staff to develop a map of cultural assets and a strategic plan for the district. City officials will use the cultural district designation to attract visitors and residents to downtown and promote the area as a hub of arts and culture. 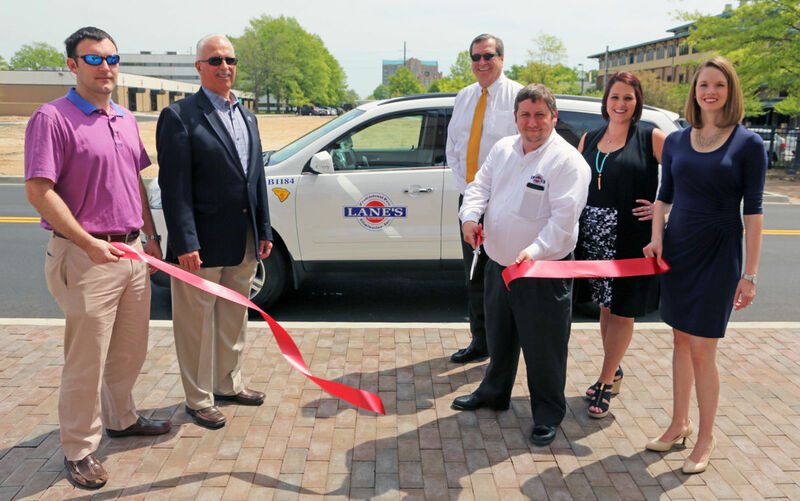 “FLORENCE, S.C. – Lane’s Professional Pest Elimination, the largest privately owned pest-elimination service in the state, was honored at a ribbon cutting Wednesday afternoon after joining the Greater Florence Chamber of Commerce. Lane’s Professional Pest Elimination has been in business since 1985 and services countless residential and commercial structures from Georgia up to North Carolina. In the Florence area, Lane’s keeps unwanted pests from ravaging popular businesses and restaurants including Red Bone Alley and Town Hall. 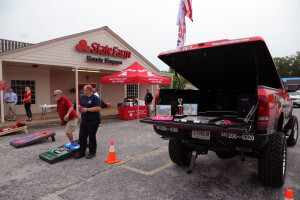 Roy Snowden, account service liaison for Lane’s Pest Elimination, said becoming a part of the Greater Florence Chamber is a welcome step for both him and the company. Lane’s continually educates its technicians and provides training using advanced pest management techniques and products. The company also offers long-term pest-management plans that can be arranged on a one-time, monthly, quarterly or seasonal basis. Snowden has worked for Lane’s for close to a year and said the company does an exceptional job remaining competitive with its nationally recognized counterparts. Snowden added that the company has a reputation not only for reasonable prices and outstanding results, but also for emphasizing the importance of first-rate customer service. 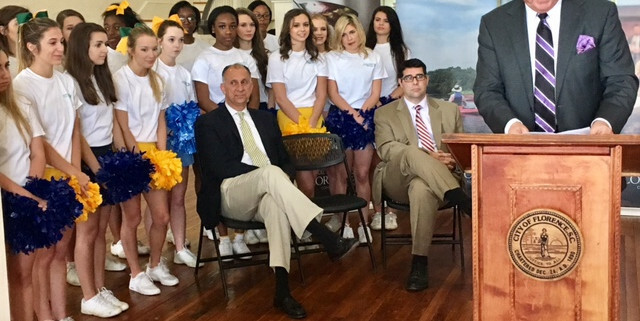 “FLORENCE, SC (WBTW) – The City of Florence unveiled its new branding Friday afternoon at the Waters Building on Dargan Street. “Full Life. Full Forward. Florence South Carolina,” one logo read. Business owners, city leaders and even local cheerleaders attended the brand launch. “We have created an identity for Florence, and today what we are doing with our brand initiative is identifying what the people in Florence feel like. We’ve done over 700 interviews to find out what they think and what they want out of a community,” said restaurant owner Tim Norwood. In the past four years, over $150 million has been invested in downtown Florence, the mayor confirms. “Well I will tell you what, you know obviously downtown has kinda been the epicenter of the movement that’s been going on in Florence for the past several years but it really expands throughout the entire community and it gives a focal point really for this change that are going on and can really be seen in concrete fashion,” said Mayor Stephen Wukela. A street fair is planned for Friday evening that will include live music, food vendors, and giveaways. 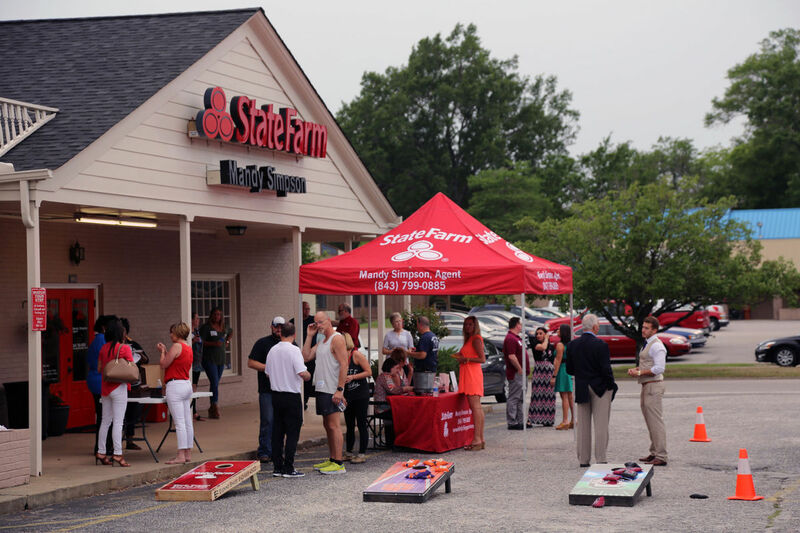 The event kicks off at 6 p.m. and giveaways start at 7:15 p.m.